Mairead Kelly is a student from St Francis University who tells us about her experiences here at S'eclairer over the course of her rotation! Welcome to an attractive internship/rotation option for students from various institutions and varied disciplines. 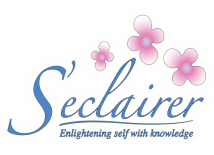 Student Laura Russell from Saint Francis University tells us about her experience at S'eclairer, what she learned about Dialectical Behavior Therapy, the laid back feeling, what sorts of clients she experienced, and more! The following is for educational purposes only. It is not intended as a substitute for medical or psychological advice, diagnosis, or treatment.